Please join me in congratulating Kimmi Lea Mauch Cantwell on two special achievements. McGowan, Donnelly & Oberheu (MDO) – New Hire! Effective February 18th, 2013 – McGowan, Donnelly & Oberheu (MDO) is excited to introduce our newest Account Executive, Natalie Schiro. MDO and Darwin are committed to being the total market solution and go to leader in the Lawyers Professional Liability (LPL) segment. Effective July 9th, 2012 – MaryPeyton Sumners has joined McGowan, Donnelly and Oberheu, LLC (MDO) as an Account Executive. MDO is proud to be selected by ThinkRisk to help introduce [in]FUSE. 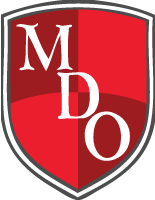 MDO is Proud to Announce…. McGowan, Donnelly & Oberheu, LLC (MDO) is proud to announce our appointment as the State Coordinator for Allied World’s Lawyers Professional Liability program in Minnesota, Pennsylvania and Utah.